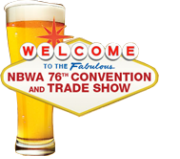 Rutherford and Associates would like to say thanks to all the visitors who stopped by our booth at the NBWA conference. It was great to connect with you and we look forward to our continued business partnerships. Rutherford and Associates will be releasing the 3rd quarterly release of eoStar soon. There will be a series of training webinars available to acquaint users with the new features of the program, so be sure to check your inbox for an invitation. Registration for the October Forecasting webinars has been closed, as both sessions are full. For those unable to register, additional Forecasting webinars will be taking place in December. The October Forecasting webinars will be recorded and the videos will be posted on Wiki-eostar, as well. If you haven’t updated your iOS tablet or phone to iOS7, here are a few reasons why you shouldn’t wait. 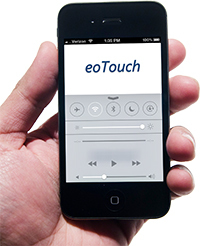 eoTouch has been modified and enhanced to take advantage of the new iOS7 platform, including many of the newly added APIs. As of November 1st, all future versions of eoTouch will be designed to operate on iOS7 exclusively. If you have any questions or concerns regarding eoTouch and your iOS device, please don’t hesitate to contact support. You can customize the start screen of eoStar to change the images, colors or you can direct the screen to load a website. By adding the wiki-eostar url address to the field, every time you open up eoStar, the background of the start screen will be the eoStar wiki.